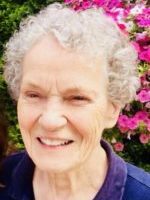 June passed away Friday, November 24, 2017 at Butterfly Oasis in Parchment. She was born June 22, 1929 in Rockland, Maine the daughter of Leslie and Virginia (Reardon) Barton. June grew up in Maine and graduated from high school in 1947. On June 28, 1947 in Limestone, Maine she married Donald Robbins. She moved to the Flint area in 1950 and then to Kalamazoo in 1965. June spent the next several years raising her 8 children and doing thousands and thousands of loads of laundry. She was very active with the Girl Scouts of America starting with her oldest daughter and continuing through with her youngest daughter. She loved being an outdoor trainer and spent many weekends making memories at Camp Merrie -Woode with the girls. June had also spent a season as camp cook and then as a counselor. She was also camp Director at Camp Bogstone in the Manistee National Forest. June served as neighborhood Chairman and District Manager Leader of the Glowing Embers Girl Scout Council. She even persuaded her husband to volunteer. After raising her children she had worked in retail and had also worked for her daughter at Ice Cream Etc. 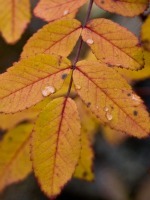 in Kalamazoo. June had served as President of the St. Vincent de Paul Ministry for 3 years and more as a volunteer in the food bank. June loved birding and volunteered at the Kellogg Bird Sanctuary as a guide. She enjoyed her yearly trip to Point Pelee in Canada with her family and friend, Margaret Black to watch the seasonal bird migrations. June enjoyed traveling and had visited all 48 continental states and collected patches for each one. She liked walking the Mackinac Bridge with her last crossing during the 50th Anniversary. June was known by her family as the energizer bunny, going and going always in a constant state of motion. She was early to rise but not always so early to bed. Surviving are her children, Jamie Wallace, Stacy Kiser, Lesley Robbins, Toby Spinner, Kelly Bates and Kerry Robbins, grandchildren, Mike, Wendy, Jennie, Carl, Becky, Brian, Robert, Tia, Sharron, David, Tori, Miranda, Anthony, Heather, Autumn, Ashley, Katie and Kelsy; several great-grandchildren and sister, Connie Moore. She was preceded in death by her parents; husband; sons, Donald Robbins Jr and Brian Robbins; grandson, Matt; siblings, Goldie Robinson and Tim Barton and special friends, Nyda and Ethel. 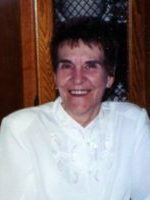 Friends may visit with June’s family from 6-8 P.M., Wednesday, November 29, 2017 at the Winkel Funeral Home with a Rosary Service at 7:30 PM. A memorial mass will be held at 10:30 A.M., Thursday, November 30, 2017 at St. Margaret Catholic Church with Rev Fr Simon Manjooran and Rev Fr Donald Klingler officiating. 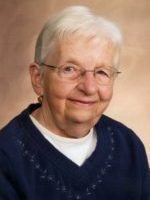 Contributions in memory of June may be made to St. Vincent de Paul Ministry of Otsego. Carolyn Caswell was welcomed by the Lord November 22, 2017. The daughter of a farmer and nurse, Carl and Nellie Bierema, she graduated from Plainwell High in 1962, married in ’63 and had 3 daughters Vicki, Amy and Jenny. Carolyn was a dedicated employee at Big Top and Harding’s Market for decades. In her spare time she enjoyed working in her flower garden, playing dominos, knitting for others, hosting baby and wedding showers, and working out at her brother’s Repz Gym. Carolyn also spent many weekends with her grand children attending various seasons of sporting events for Ally and Nolan, camping, as well as visiting her daughter and grandchildren Noah and Micah in sunny Florida. 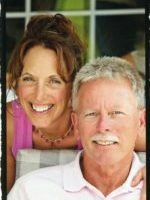 Carolyn lost her daughter Amy in 1998 and husband Theron “Butch” Caswell in 2007. Her daughter Vicki Hawkins resides in East Lansing and Jenny (Brian) Smith in Ponte Vedra Beach. Carolyn’s surviving brothers and sisters are Rich Bierema, David Bierema, Janet Hoag, Joe Bierema, Anne Cetas, Jerry Bierema, Lenny Bierema, Becky Wright, and deceased brother Carl Jr.
Friends and family may visit with Carolyn’s family at the Otsego United Methodist Church (223 East Allegan Street) starting at 10:00am, until the time of the memorial service at 11:00am, Saturday, December 2, 2017. Lunch will be provided following. Dale passed away Wednesday, November 15, 2017 at the VA Hospital in Ann Arbor. He was born July 13, 1948 in Allegan the son of Clayton and Marion (Esseltine) Oisten. After high school Dale joined the Army and proudly served his country in Vietnam. He then went on to serve in the Army National Guard. Dale had worked as a press operator at Haworth for 18 years until he medically retired in 1994. Dale enjoyed spending time with his grandchildren and was thought of as grandfather to all. He enjoyed giving them tractor rides and playing cards. In his spare time he liked doing yard work, fishing, and hunting and was active in his church. Dale was a life member of VFW Post 3030 and American Legion Post 84. On June 22, 1983 in Douglas he married Candy who survives. Also surviving are his children, Sheldon (Sarah) Lambert of Ohio, Tracy Counterman of Bay City, Jodi (Rob) Stille of Holland, Dale Oisten Jr. of West Olive and Michelle (Sean) Evans of Allegan; 17 grandchildren; 1 great-grandchild and siblings, Grace (Jim) Richardson and Peggy (John) Kraak. He was preceded in death by his parents, his son, Tim Counterman and by his sister, Judy Massie. Friends may visit with Dale’s family from 2-4 P.M. and 6-8 P.M., Sunday, November 19, 2017 at the Winkel Funeral Home, Otsego and from 10:00 A.M. until the time of the funeral service at 11:00 A.M., Monday, November 20, 2017 with Pastor Austin Kreutz officiating. Burial with Military Honors will follow at Ft. Custer National Cemetery, Augusta. 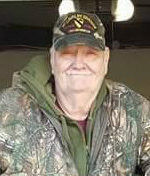 John Richard Flatt passed away unexpectedly on Saturday, November 11, 2017 at his home in Plainwell. He was born April 3, 1949 in Dyersburg, TN the son of Alton and Faye (Carson) Flatt. John proudly served his country in the U.S. Army. He had worked for Parker Hannifin for many years until he retired in 2013. He had been a member of Otsego Rotary and the Lynx Golf Course. John enjoyed golf, vacationing in Jamaica, skydiving, and he was an avid history buff. He was a generous person, especially with those he loved and he was always helping friends and neighbors. On July 3, 1993 John married Nancy Elaine Moyer who survives. Other survivors include his son, Brandon Shane (Jill) Flatt; daughter, Casey Linda (Ross) Hakamaki; step-son, William Corey Ames; granddaughters, Amara, Brenna and Chloe’ Flatt; his father, Alton (Peggy) Flatt; siblings, John Wyninegar, Kirk Wyninegar, Rita Sanders, Patti (Frank) Sachenbacher, David Wyninegar and many nieces and nephews. He was preceded in death by his mother, Faye Wyninegar; brother, Richard Wyninegar; his mother-in-law and father-in-law, Carl and Jeanette Moyer; brother-in-law, Joe Moyer. Private family graveside services will be held at Mt. Home Cemetery in Otsego. A memorial service will be held on Friday, November 17, 2017 at John’s second home, the Lynx Golf Course, Otsego at 4pm with Pastor Howie Ohman officiating. There will be a time of visiting and celebration to follow until 8pm. In lieu of flowers contributions in memory of John may be made to Alternatives of Kalamazoo, St. Jude Children’s Hospital or to the Kalamazoo Gospel Mission. Patricia passed away Saturday, November 11, 2017 at Bronson Hospital in Kalamazoo. She was born November 30, 1956 in Allegan the daughter of Donald “Keith” and Margaret (Burt) Rambadt. Pat had worked at Pemco and P&G Insurance in Kalamazoo before starting a daycare in her home. She had also worked at Perrigo for 25 years until 2015. Pat loved her cats, cooking and following MSU Spartan football. On May 24, 2008 she married Mark Vickery who survives. Also surviving are her children, Stacy (Rob) Nieto of Kalamazoo and Erin Schrepper of Otsego; grandchildren, Annabella, Cruz and Lucy along with a set of twins on the way; siblings, Don (Anita) Rambadt, Cheryl (Garret) Tuinstra and Diane (Ron) Katje and several nieces and nephews. A memorial visitation will be held from 6-8 P.M., Monday, November 20, 2017 at the Winkel Funeral Home, Otsego. Contributions in memory of Pat may be made to Sylvia’s Place in Allegan. 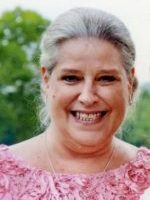 Barbara passed away Wednesday, November 8, 2017 at Kairos Dwelling in Kalamazoo. Barbara was born June 6, 1941 in Kalamazoo; the daughter of James and Mary (Garske) Kline. Barbara loved her family very much and liked hosting and attending family gatherings. She also enjoyed bingo, bowling, baking, crafting, and going to the casino. Barbara was previously married to Gene DeRuyscher and they had 3 daughters together; Kim (Larry) Bean of Martin, Kelly DeRuyscher of Otsego and Karry Covault of Otsego. On October 22, 1977 in Paw Paw she married Eugene Chamberlain and they had 2 children together; Scott (Carrie) Chamberlain of Montana and Shelly (Brian) Chapman of Otsego. She is survived by her children, Kim, Kelly, Karry, Scott and Shelly; 10 grandchildren, Heather, Nikki, Daryn, Kyle, Samantha, Melissa, Kendylle, Chloe, Lane and Caitlyn; 5 great-grandchildren; sister-in-law, Bette (Gordon) Manake; brothers-in-law, Roger (Bev) Chamberlain and David Chamberlain; and many nieces and nephews. She is preceded in death by her husband Eugene Chamberlain; father, James Kline; mother Mary Jeanne Burnworth; step-father, Norman Burnsworth; brother, Jimmie Kline and sisters-in-law, Barbara Horn and Linda Keefer. Friends may visit with Barbara’s family from 2-4 P.M. and 6-8 P.M., Tuesday, November 14, 2017 at the Winkel Funeral Home, Otsego, where a funeral service will be held at 11:00 A.M., Wednesday, November 15, 2017 with Celebrant, Bill Rose officiating. Burial will follow at Maple Grove Cemetery, Mattawan. Contributions in memory of Barbara may be made to Kairos Dwelling. Stormy passed away Saturday, November 4, 2017 at her home in Kalamazoo. She was born January 23, 1963 In Kalamazoo the daughter of Charles Thompson and Margarite Hatten. Stormy enjoyed going to church and was part of the VFW Ladies Auxiliary. Surviving are her sons, Chad Hanson, Dustin Hanson, Paul Hatten and Michael Hanson; several grandchildren and siblings, Barb, Roger and Kenny Hatten. She was preceded in death by her parents and step-father, George. David passed away Tuesday, November 7, 2017 at his home in Allegan. He was born May 11, 1951 in Allegan the son of Howard and Mary (Bradley) Town. David had owned and operated Towne’s Pit Stop until the mid-90’s. 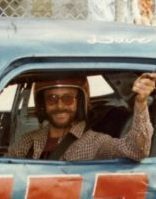 In his spare time he enjoyed walleye fishing in Leelanau and racing at the Kalamazoo Speedway. Surviving are his children, Don (Angie) Towne of Plainwell and Roberta (Kevin) Hammer of Allegan; grandchildren, Eastin (Kiana) Hammer, Ally Hammer and Justin Towne; great-grandchildren, Emma and Addison and his siblings, Gary (Rose) Town, Robert (Cindy) Town, Butch Town, Howard (Ruth) Town, Alice Town, Janet Foreman and Sharon Crisman. 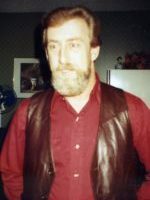 He was preceded in death by his wife, Dawn Towne in 2016; infant son, David Jr. in 1971; brother, Richard Town and sisters, Sally Caffrey and Linda Meyers. Friends may visit with David’s family from 6-8 P.M., Thursday, November 9, 2017 at the Winkel Funeral Home, Otsego, where a funeral service will be held at 11:00 A.M., Friday, November 10, 2017 with Celebrant Bill Rose officiating. Contributions in memory of David may be made to the National Multiple Sclerosis Society. Phillip “Sam” Largent passed away Friday, November 3, 2017 at his home in Plainwell. He was born May 22, 1942 in Plainwell the son of Herbert and Ruby (Stratton) Largent. He proudly served his country in the US Air Force. Sam was very handy and enjoyed building things. He also enjoyed reading and working as a forklift mechanic. On July 10, 1993 he married Carolyn Avery who survives. Also surviving are his step-son, Michael Sullivan of Arkansas, brother, Michael Largent of Plainwell and his step-mother, Zelma Largent of Plainwell. He was preceded in death by his parents and sisters, Judy, Tina and Linda and by his brother, Ralph. A memorial visitation will be held from 4-6 P.M., Sunday, November 12, 2017 at the Winkel Funeral Home, Otsego.